EVERETT, Wash. – The Everett Silvertips (@WHLSilvertips), two-time Western Conference champions and six time U.S. Division champions of the Western Hockey League, announced today that forward Connor Dewar has been named the 16th captain in Everett Silvertips history, scheduled to wear the “C” on his jersey for the upcoming 2018-19 WHL season. 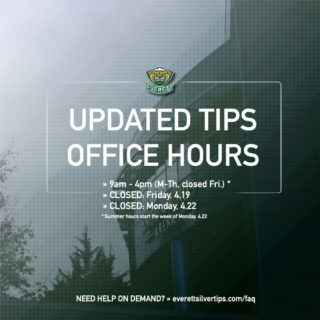 Dewar, 18, was named the Silvertips Most Dedicated Player this past season while serving as an alternate captain, one where he shattered career highs in points (68), assists (30) and goals (38), leading the Silvertips in goals while becoming the youngest player in Silvertips history to reach the 38-goal mark. In the postseason, he was second on the program in points (26) and goals (12) in all 22 games, leading the entire league in plus-minus (+24) and shots on goal (106). 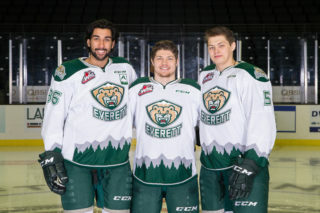 He has been a part of two Silvertips teams that captured the U.S. Division title, and this season earned their second trip to the Rogers WHL Championship Series as Western Conference champions. Dewar skated last summer in development camp with the Toronto Maple Leafs and is one of three Silvertips listed on the final rankings by National Hockey League Central Scouting for the upcoming 2018 NHL Entry Draft. 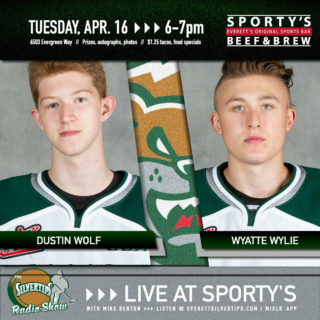 The 1999-born forward has missed only five games in his WHL career, totaling 116 points (63g-53a) and a +19 rating in 211 career games, all spent in a Silvertips jersey. At age 16 he scored in his WHL debut, on opening night of the 2015-16 season in a Silvertips victory at Prince George. 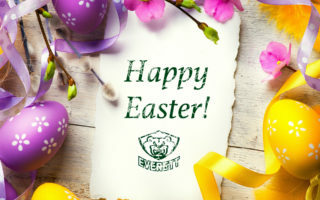 He was named co-recipient of the Silvertips Iron Man award and named Silvertips Rookie of the Year in 2015-16, and the following season became the youngest player in Silvertips history to earn the Booster Club F.I.E.R.C.E. Predator Award. 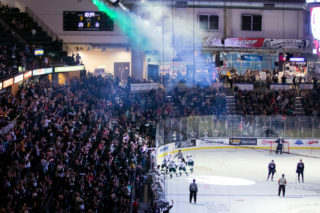 Silvertips Season Tickets are available by simply placing a $50 deposit at www.everettsilvertips.com/ticketcentral, ensuring an RSVP for Select-A-Seat on June 2 at Angel of the Winds Arena in downtown Everett, or by calling (425) 252-5100.